This 1995 Montegrappa Ettore Bugatti Type 50 LE #29/1930 cartridge/converter-fill in black Lacquer. This is extremely rare, and was produced by Montegrappa for sale in Bugatti boutiques. Gold-plated trim, and the clip is shaped like the Bugatti Atlantic automobile. Gripping section in silver dimpled. Two-tone 18K medium nib. 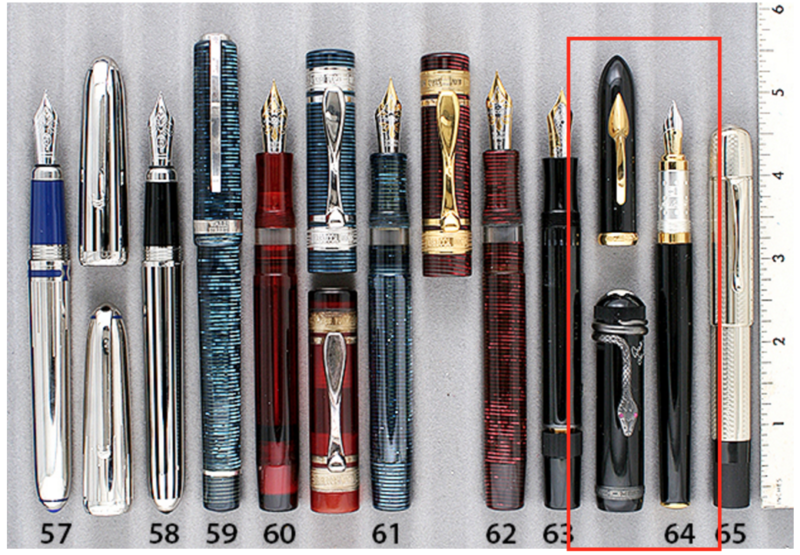 This entry was posted in Modern Pens and tagged Catalog, Catalogs, Montegrappa. Bookmark the permalink. Follow any comments here with the RSS feed for this post. Post a comment or leave a trackback: Trackback URL.